While whining about the books I’ve read recently and not reviewed (dear Andrea: is it OK to read something and not review it right away! ), I got thinking about a book I’ve been reading and re-reading, and touching and oohing and aahing over the artwork of. I’ve had this book in my possession for over a year, and it’s become less traditional anthology and more touchstone. The themes of the stories are all over the place – sad, creepy, hopeful, full of release, full of tension, seeking closure. The only thing these stories have in common is the artwork. If you’ve got a friend who loves the intersection of art and storytelling, this would make a great gift. 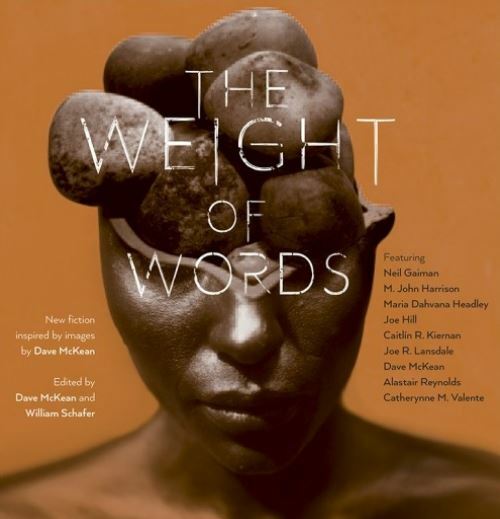 The Weight of Words, edited by Dave McKean and William Shafer came out around this time last year, but it’s a book I needed months and months to think about. 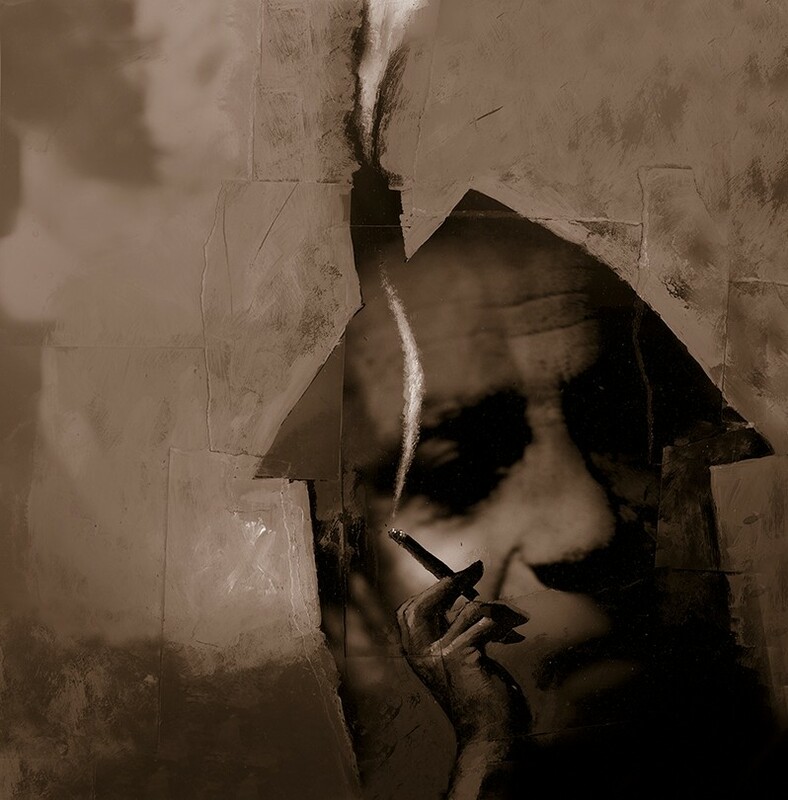 Dave McKean’s multi layered artwork draws you in, and then like a fractal, keeps drawing you in. This surreal artwork is the perfect match for speculative fiction stories that speak of places that never were. These images tell a thousand stories, I almost feel bad for the authors who had to decide on just one plot line and write a short story! Something incredible happens when artwork and storytelling intersect, something that feels like a chemical reaction. The Weight of Words includes fiction by Joe Hill, Caitlin R. Kiernan, Catherynne Valente, Maria Dahvana Headley, Joe R. Lansdale, Alastair Reynolds, and more. Belladonna Nights by Alastair Reynolds – McKean’s artwork prompt is a strange image of a clocktower, and violins growing out of the tops of the tower. Reynolds took this fantastically surreal image and wrote a far future space opera about a reunion. Campion can continue to protect Shaula, or he can tell her the truth about her past. If he tells her the truth, nothing will ever be the same again, and keeping up the lie is killing him. Just so you know, this story made me cry. I learned after I read the story that this story takes place in Reynold’s “House of Suns” world.